Our fees are reasonable, and all our work is guaranteed. For more information, or to schedule service, please call (855) 766-5724. Or fill out the form below. 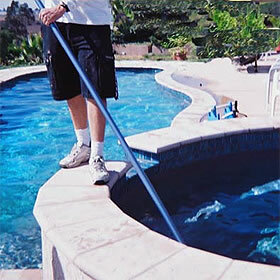 At Paradise Aquatics, we provide weekly on-site pool maintenance. Each week we will come out and perform the following steps to ensure your swimming pools long life and pristine appearance. To schedule your pool service, fill out the form below.